Tired of waiting for the next Humble Bundle to appear? Then wait no more. Starting this week, Humble Bundle will be holding the Humble Weekly Sale. Pay what you want for a different game every week, with a new deal every Tuesday! 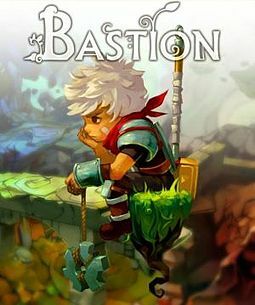 $25 - Bandana, OST CD, Postcard, Transistor Postcard (Supergiant's next game), includes shipping. Must be redeemed by April 23, 2013. Don't miss out on this amazing sale, it's only here for a week! Keep in mind our Humble Bundle Giveaway is still ongoing - so watch our Facebook page for the post!